James M. “Jim” Moore born 1878, died 1941. He married Rosa Massey born 1880, died 1943. Jim was the son of John W. Moore and Delia Warren Moore. Rosa was the daughter of Jeremiah Massey and Louise Frances Hartfield Massey. Both Jim and Rosa were born in Dade County, Georgia. They made their home in the New Salem Community. Census records indicate a baby was born in February 1899 and died as an infant. The Moores reared the following children: 1. Tom Massey (married Dessie McKaig); 2. Thelma Massey (married Floyd Bradford); 3. Edna Massey (married Monroe McKaig); 4. Cecil Massey; 5. Bennie Massey; 6. George Massey. 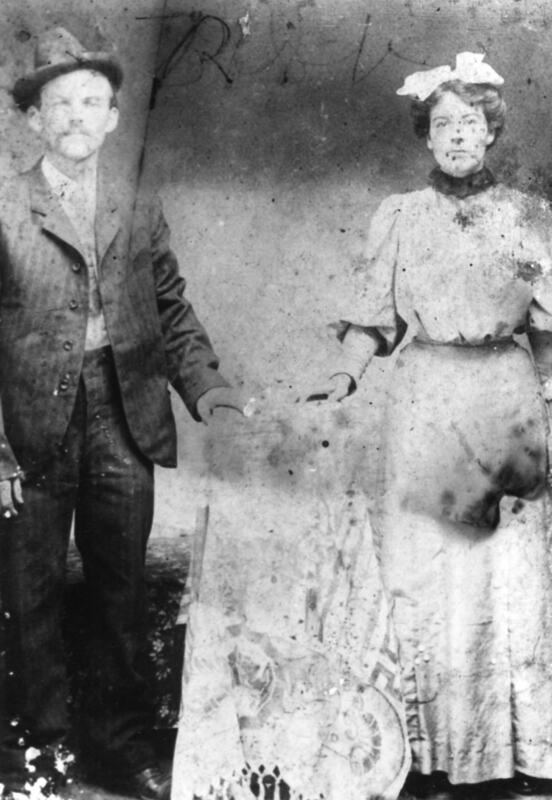 These were the children of Rosa’s brother George Massey and his wife Viola Lively Massey. The Moores also adopted a daughter Lottie George, born August 3, 1912 and died October 15, 1990. Lottie married Walter Painter, born July 25, 1906 and died May 28, 1977. Both are buried in the Grand Center Church Cemetery near Chickamauga, GA. Mary Josephine (Josie) Moore Kendrex was in this household in 1920 listed as an aunt. Jim was a landowner and a farmer. He was a great gospel singer and taught singing schools in the area. He also worked for Howard Furniture Company. Rosa and Jim were very loving, caring and sharing people. Many people were cared for and given an opportunity in life because of this wonderful couple. They are buried in Hawkins Cemetery in New Salem. Lottie Loraine George Moore and Walter Painter were the parents of four children: 1. Robert Hewitt Painter born 11-8-1933; married Virginia Joyce Whitburn who died about five years ago and is buried in Tennessee Memorial Gardens. 2. Doris Jeanette Painter born 2-17-1935; married Floyd Maynard Raines born 3-26-1930. 3. Charles Raymond Painter born 5-24-1944 died 3-2-1984 and is buried at Grand Center Baptist Church. He married Sandra Woodard, Regenia Henderson and Sandra Kemp. 4. Barbara Ann Painter born in Walker County, Georgia 1-31-1948 married Joseph Carter born 1-31-1944.